Is the UK running out of iPhones? The chronic iPhone shortage that has afflicted the US has now spread to mainland Europe with complete sell-outs in the UK and France. Or at least that's what Silicon Valley rumour site Valleywag would have you believe. Reality, in the UK at least, tells a very different story. 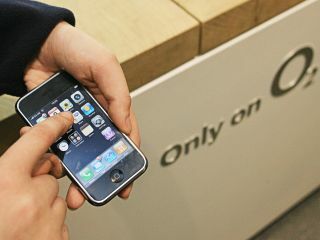 TechRadar called a random selection of O2, Carphone Warehouse and Apple stores, including Apple's flagship store on Regent Street, and discovered that there are plenty of iPhones available to buy. A member of Carphone Warehouse's shop staff told us her store had six iPhones in stock, with another 3,000 available from their depot. One O2 store said they had 41 iPhones in shop stock, mainly of the 8GB version. An O2 spokeswoman also onfirmed that iPhones were in plentiful supply. Apple ran its usual "we don't comment on rumours or speculation" schtick. We're currently brushing up our French so we can find out if the same thing is happening on the other side of the English Channel. Anyone care to confirm?